Unlike their picante cousin the jalapeno, bell peppers are a mild, sweet pepper that are used widely in savory dishes. These green, red, yellow and orange veggies are crunchy and delicious, making them the perfect raw snack to munch on or use as a base for another dish. Bell peppers are packed with vitamins C, A & E, as well as nutrients called carotenoids (they give bell peppers their colors!) and flavanoids that the body uses as antioxidants. In addition, bell peppers have sulfur-containing compounds that are linked to cancer-fighting health benefits. Remember how I mentioned jalapenos before? Well it turns out that capsaicin, which is responsible for the spiciness, is also present in bell peppers — which is great because it has been shown to reduce bad cholesterol and ease inflammation. One reason bell peppers are one of my favorite foods is because they are so low in calories (about 30 for a whole cup!). Plus, they’re fat free, cholesterol free and sodium free. Raw peppers may contain all of these nutrients, but cooking them strips them of some antioxidants. Don’t let this deter you — bell peppers should be eaten in every which way, be it sautéed, grilled, caramelized, raw or stuffed! 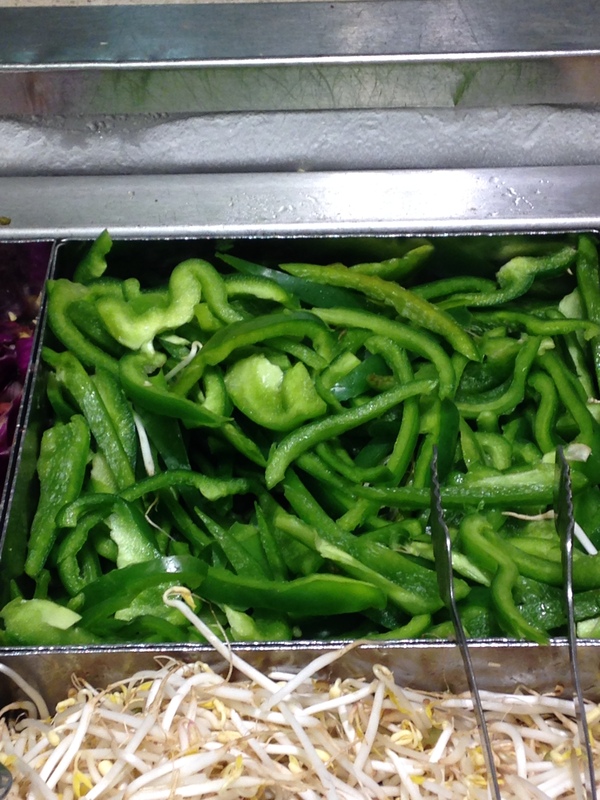 Fortunately, the dining hall always stocks bell peppers in the salad bar and often uses them in their dishes. What’s your favorite way to eat bell peppers? Let me know in the comment section below!